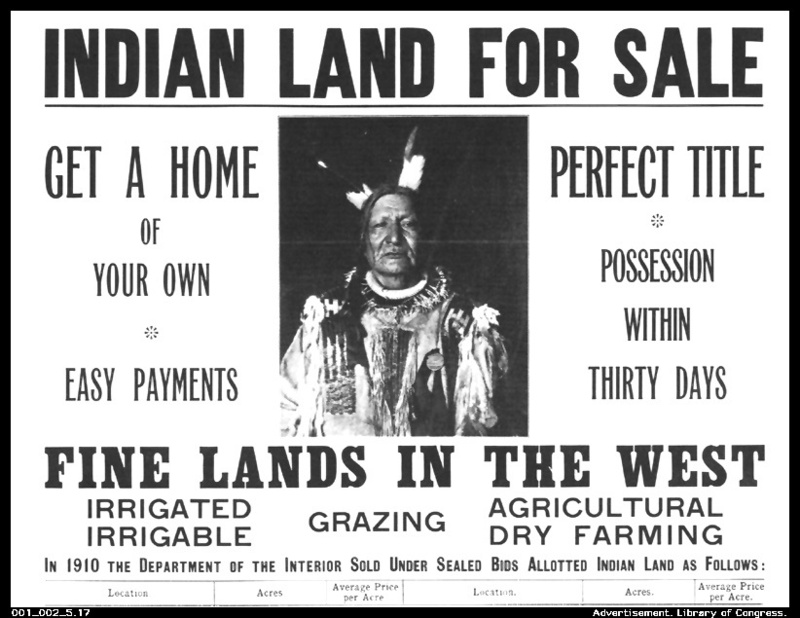 On this day in history, Congress passed the Dawes Act which both forced indigenous peoples to assimilate into a system of private property ownership and effectively stole millions of acres of what should have been treaty-protected lands. The Dawes Act allowed the government to divide up communally held reservation lands into individual parcels, up to 160 acres for a head of household, according to Wikipedia. The law’s deceit was that there was plenty of acreage left over after individual allotments were made. The law allowed the government sell off this so-called “surplus” land. The poster to the right says it all. For more, check out this Indian Country Today article: Native History: Dawes Act Signed Into Law to ‘Civilize’ Indians. Checkerboarding seriously impairs the ability of Indian nations or individual Indians to use land to their own advantage for farming, ranching, or other economic activities that require large, contiguous sections of land. It also hampers access to lands that the tribe owns and uses in traditional ways. The Leech Lake Band of Ojibwe in northern Minnesota is one extreme example of the Dawes Act’s damage. The Leech Lake Band and individual allotees own a mere 4 percent of the land within their historic reservation boundaries, according to a 2015 presentation by Cris Stainbrook, president of the Indian Land Tenure Foundation. Please consider sharing this post.